Ohhhh nail polish!! Julie G is some of my favorite polishes; especially when they were putting out the textured line. I just love textured polishes. 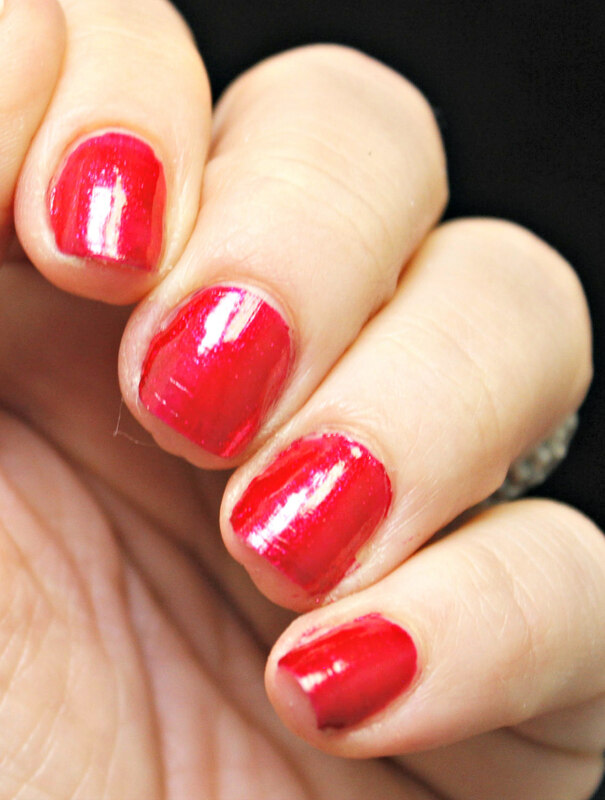 I have 2 beautiful, sassy reds and a quick dry top coat. 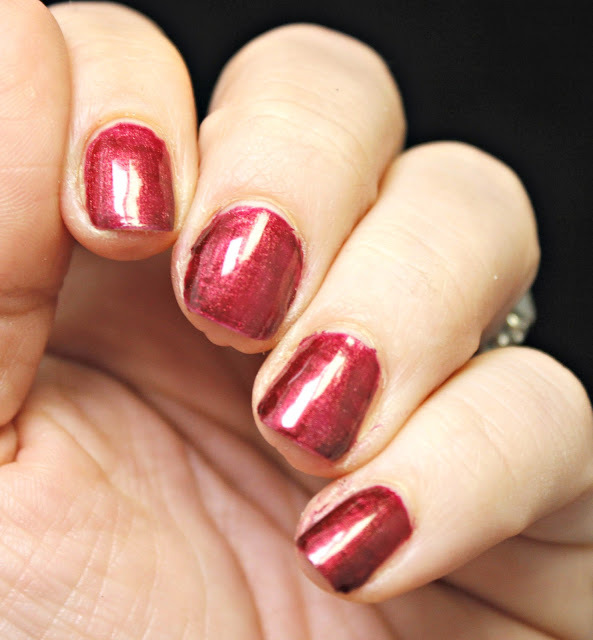 First up is a bright shimmery red that goes by the name of Sunset Kiss. It has an orange shimmer to it and even though we are talking about sunset (which makes me think warm), it is still perfect for the winter cold. This is going to be perfect for Valentine's Day and for only $3.99 each, it makes it even better. Dolled Up Dorothy is a perfect deep burgundy. It's a classic dark red that can be a perfect match for any lingering holiday parties or if you want to class it up a notch for the day of love! Both of these colors are well pigmented and were really easy to apply. ALSO... Jesse's Girl is having a giveaway with some of the goodies I have been showing off. I happen to have the link for you below... Don't forget to enter and win them all! !